Some questions and answers to help you decide whether your child needs a referral to the Ministry of Education for their communication, speech or language development. have you talked to someone else who knows your child well and tried some of the recommended tips? think about the impact on their daily activities and social interactions at home and in the early childhood education setting. are they having significant difficulties understanding or communicating with other children or adults a lot of the time? are they becoming withdrawn or showing different behaviours to communicate their needs and wants a lot of the time? To make a referral, you can ring 0800 622 222 or email Special Education. You might also find some helpful suggestions on the page Concerned about your child's development? Who should I talk to if I am concerned about my child's speech? 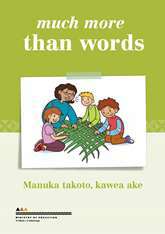 Talk to someone else who knows your child well; for example, your child's teacher, doctor or a close family/whānau member. If you are still concerned, call the Ministry of Education at 0800 622 222 or check the Ministry of Education website for your local Ministry of Education office. Who should I talk to if I am concerned about my child's voice? If you have any concerns about your child's voice talk to your child's doctor who may refer your child to a specialist or a speech language therapist. Speech language therapists are employed in the Ministry of Education, special schools, hospitals, and in private practice. To find a speech language therapist, you can contact the Ministry of Education, Special Education on 0800 622 222 (you can self-refer to a Ministry of Education speech-language therapist); email a query to special.education@education.govt.nz; see where to find speech and language therapists at the NZ Speech-Language Therapists' Association website or ask your child's teacher to refer your child.